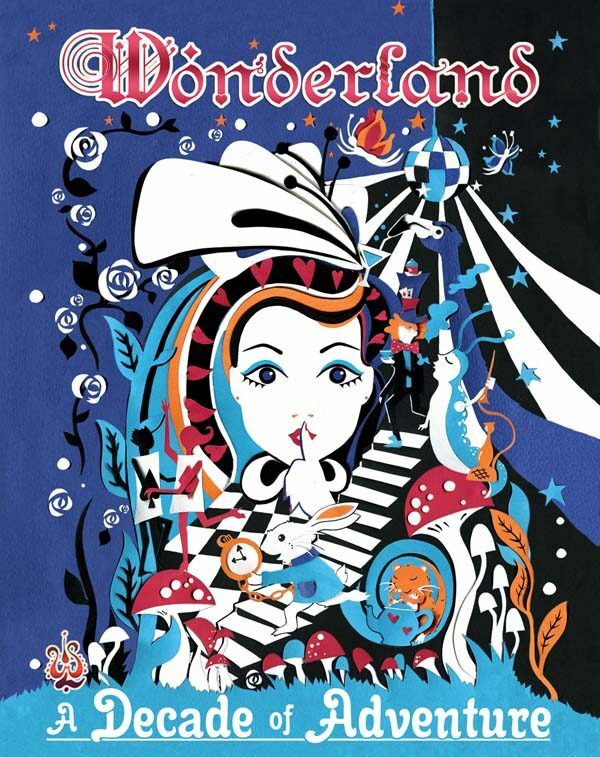 I recently created a new Alice in Wonderland illustration for a company called Wonderland, who put on magical parties/ club nights to raise money for communities in Gambia. This design is for their 10 year anniversary celebration and there was so much I could use for inspiration; Burlesque and circus performers, hot tubs, camping, a nightclub in an enchanted forest inside a dolls house and the Alice in Wonderland characters themselves. I went for the idea of it being a secret party with the dancing cards, cocktail slurping flamingo, and the Mad Hatter bringing the tea and cakes. I also teamed up with an animator (my sister, Emma Scott) to produce short gifs of different elements of the design for use on Facebook and Instagram.